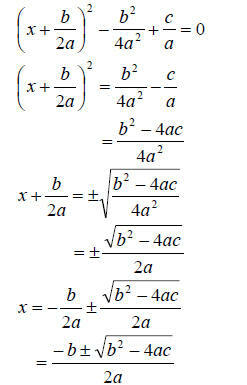 3. solve simple physical problems involving quadratic equations. What are quadratic equations and how do we solve them? So the equation has two roots , and depending on the value of the discriminant , , the equation may have real , complex or repeated roots. If , the roots are complex . If , the roots are real . If , the roots are real and repeated. A ball is thrown down at 50 mph from the top of a building. The building is 420 feet tall. 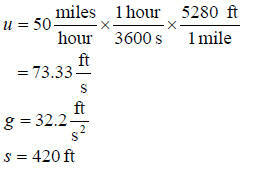 Derive the equation that would let you find the time the ball takes to reach the ground. Since t > 0 the valid value of time is .